Not too long ago, I covered CentOS Don't Want To Pay For Red Hat Linux? Try CentOS Instead Don't Want To Pay For Red Hat Linux? Try CentOS Instead In case you don't know already, most of the web is powered by Linux -- Facebook, Twitter, Google, and a vast majority of other major Internet sites use Linux for their servers. While server administrators... Read More , a free operating system that is rebuilt from packages of Red Hat Enterprise Linux, or “RHEL”. This results in a clone of Red Hat Enterprise Linux that costs you absolutely nothing as you don’t have to pay Red Hat’s prices for their support services for the product. 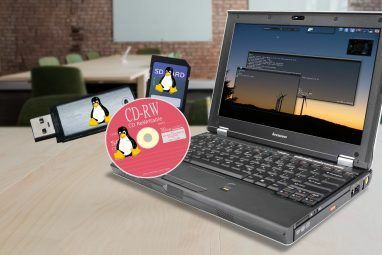 While CentOS may be a nice way to get enterprise-quality software on your systems without spending a dime, it may still be worth a look at the real deal. So what features does Red Hat Enterprise Linux (which costs $299 per year) include that make it worthwhile to use on enterprise desktops, and is it ultimately the best enterprise desktop solution? Registering for the 30-day evaluation copy of Red Hat Enterprise Linux took a bit of work as Red Hat doesn’t offer any evaluation copies to anyone who isn’t associated with a company or enterprise (as it could identify after I entered in my Gmail email address). Instead, I had to use my email address that is provided to me by my university, which Red Hat accepted. After a few more questions that I tried to shoo away as best I could, I downloaded myself a copy of the latest Red Hat Enterprise Workstation disc, as the Workstation version includes the same features as the Desktop version, plus developmental features if you so choose to install them. While this makes the Workstation version more expensive when you actually buy it (about three times as much! ), it doesn’t matter for the evaluation copy. The installation was quick and painless. The older Anaconda installer, which any Fedora Fedora 19 "Schrödinger's Cat" Is Alive And Full Of New Features and Improvements Fedora 19 "Schrödinger's Cat" Is Alive And Full Of New Features and Improvements Joy to the world, a new version of Fedora codenamed "Schrödinger's Cat" has been released! In the past, Fedora has provided leadership in the open source community, holding up to strict open source policies, continuous... Read More user should be familiar with, dedicates each step to a single task (such as partitioning, setting a time zone, setting the root password, etc.) so you aren’t overwhelmed by a handful of various configuration options. You do need to know what you’re doing though, so you need some Linux expertise to do everything correctly (especially the partitioning) or read Red Hat’s documentation. Once the installation was complete and I was able to boot into the desktop. Registering the installation on the Red Hat Network was very easy once the system realized it was connected to the Internet. Registering is important because it enables system updates to be downloaded and installed, making the system even more stable than it already is. The current release, Red Hat Enterprise Linux 6.4, does offer a lot of older software as they are known to be very stable. 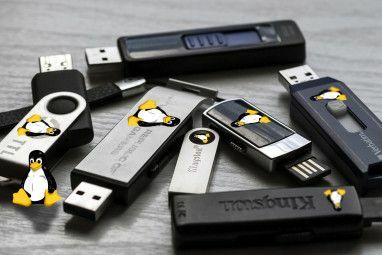 For example, it runs Linux kernel 2.6.32, Gnome 2.28.2, Firefox 17 (the latest long-term support release), and LibreOffice LibreOffice - A Free Office Suite For Windows, Linux & Mac LibreOffice - A Free Office Suite For Windows, Linux & Mac Read More 3.4.5. Again, this ensures higher stability compared to brand new software that is minimally tested. Additionally, the older versions of software provide the core functionality you need, so it’s more than likely that as an enterprise user, you won’t desperately need the latest features as soon as they come out. In any case, you can always add third-party repositories which provide other packages and/or newer versions. Speaking of available software, the default installation set is pretty minimal. This is extremely similar to Fedora — since Red Hat Enterprise Linux is based on Fedora, any Fedora user should feel right at home. In fact, Red Hat Enterprise Linux doesn’t even provide Microsoft fonts by default (which I slightly expected for enterprise compatibility), so you’ll have to find them yourself. Otherwise, the selection of available software is more limited compared to Fedora. RHEL only includes software that is it certain to work flawlessly, and only includes enterprise-oriented software. If you take a look at the different software categories, you’ll find things like servers, databases, system management, and virtualization. This is in comparison to Fedora which includes categories such as games and art. As is available in Fedora, RHEL prides itself in providing its own custom tools. 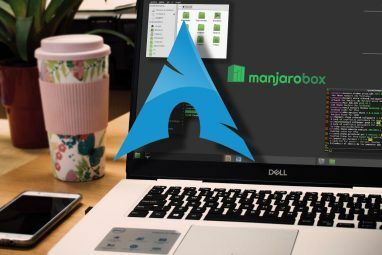 For example, kickstart is a service which allows you to create a template that you can use to automate the installation of RHEL on other systems. This is similar to openSUSE/SUSE’s AutoYaST tool. If you want to test Red Hat Enterprise Linux for yourself, you’ll need to create an account with Red Hat and order a free evaluation (if you “are associated with a business/enterprise”). They will then email you when your order is ready and instruct you on how to download the ISO file. Remember, don’t expect RHEL to be a fun desktop to work on, but rather a useful one that is made for productivity. For enterprise environments, I really like RHEL. While I’m not sure if the price is right (this depends on each person’s/company’s situation and decisions), it’s certainly a quality product. Additionally, with Red Hat’s support, I’m sure you can take on whatever challenges lie ahead. Alternatively, if you want to do everything on your own, it may be better off to stick with CentOS. What do you think about RHEL? Is it the best enterprise distribution? Let us know in the comments! 5 Sites and Extensions to Tweak YouTube for a Better ExperienceSUSE Linux Enterprise Desktop: Better Than Red Hat? Just thought I'd mention LinuxCon NA 2013 is coming in Sept w/ big presence by Red Hat giving lots of presentations/speeches. BTW, Google will have presentation on how they replaced Red Hat with Debian on live systems. Also, I've been using Fedora 18 XFCE under both VMware & VirtualBox (with root filesystem as BTRFS) & works w/ few problems (support for virtualization w/ no need to install/config guest additions or tools) w/ just 512RAM for 'casual' use (non-developer/server). Not to be pedantic but Fedora is based on RHEL, rather than the other way around. 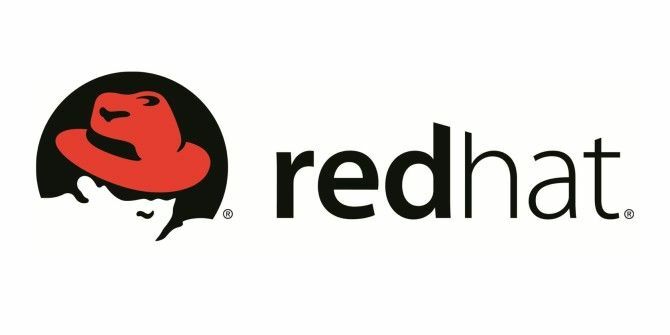 Red Hat Inc used to develop and support RHEL and Red Hat Linux for the masses. In 2003 Red Hat Inc decided to concentrate on RHEL and stop developing Red Hat Linux which was taken over by the community and became Fedora. The basic relationship between RHEL and Fedora is similar to that between Debian and siduction. RHEL and Debian are the stable branches and Fedora and siduction are the unstable, development branches. Any new features and/or improvements are first incorporated into Fedora and, once they prove to be rock solid, they are then incorporated into RHEL. Well, with that argument, we're both right. Fedora spawned from RHEL, and feeds back into new RHEL releases. Does that make sense?